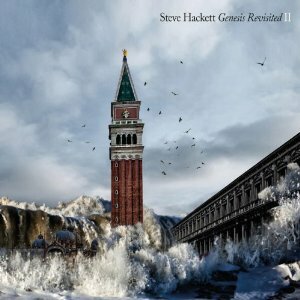 Following the release on 22nd October of legendary guitarist Steve Hackett’s newest album, Genesis Revisited II which comes in a limited edition 2CD Media-book, as well as a 4LP & 2CD version, Steve is proud to announce details of his forthcoming 2013 world tour. The tour will be a special production and something of a departure from his recent live shows. This will mark the first time any original former member of Genesis has toured the band’s repertoire solely from the 1971 – 1977 period and will comprise songs co-written by Steve from that period, including such classics as Supper’s Ready, Dancing with the Moonlit Knight and The Musical Box. The line-up will feature the addition of Nad Sylvan as principal vocalist on several songs. The tour will commence in the US in early March and reach the UK in May 2013. For anyone who was a fan of Genesis, this will be a 'must see' event. Further dates to be announced. The eagerly awaited album includes some of the most respected vocalists of our days in Steven Wilson (Porcupine Tree), Mikael Akerfeldt (Opeth), Simon Collins (Phil Collins’ son), Amanda Lehmann, Conrad Keely, Francis Dunnery, Neal Morse, John Wetton, Nad Sylvan and Nik Kershaw; Steve Rothery of Marillion and Roine Stolt of The Flower Kings and Transatlantic also join in to share guitar duties, while Jeremy Stacey and Gary O’Toole are amongst the chosen drummers. The album will be available in different formats, including a limited edition 2CD Media-book, and a unique 4LP & 2CD version. It’s a project of Wagnerian proportions! Steve says. I've remained true to the spirit of the original songs, whilst changing and highlighting details. The vocalists all contribute their own character to the whole. For track list details please see below. This time around, I’ve tried to satisfy what everyone wants, including myself – comments Hackett on his choice for the track list. Initially, I was thinking of just going for the best songs not featured on the first album. But then people thought I should do those tracks where the guitar was emphasized. So, I’ve done both. I've also included four songs with Genesis threads, most of which were written during the period and had a Genesis feel, such as the co-written 'Shadow of the Hierophant’. Go back to the seminal Golden Era with Steve Hackett and his guests as they honour a truly unforgettable music legend. Further dates for the Genesis Revisited World Tour will be announced soon.